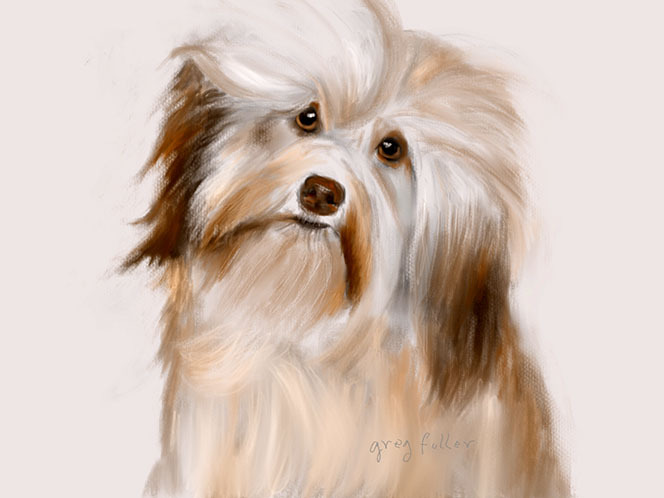 This digital painting of a chocolate Havanese puppy dog was created on an iPad mini with the Procreate app. 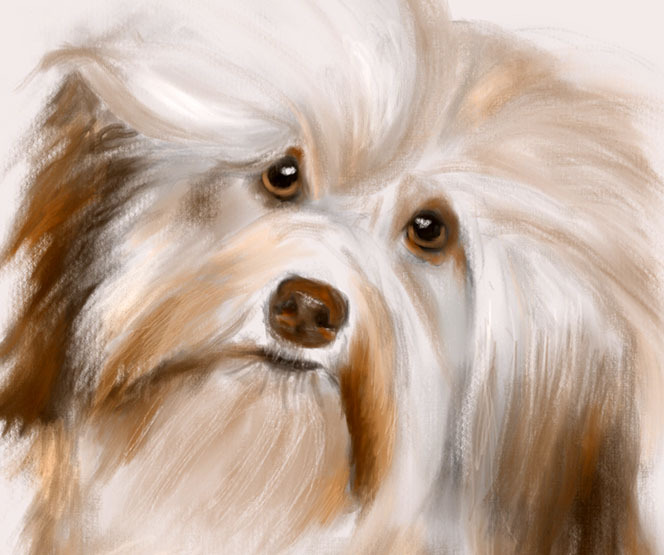 I used my index finger for some of the strokes, but most of the painting was done with a Musemee Notier V2 stylus. This is my first digital painting on the iPad, if you don’t count a few doodles. 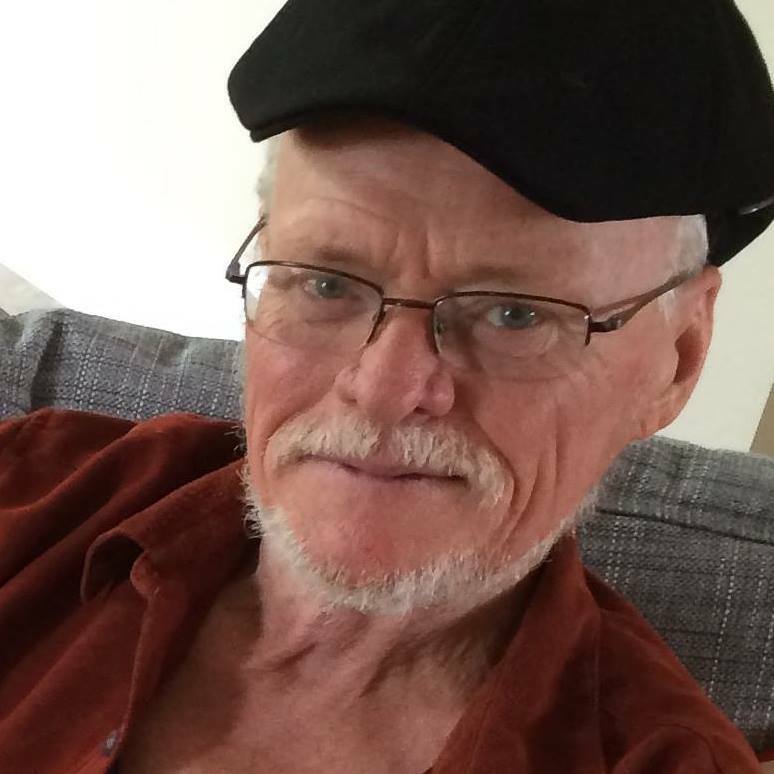 The overall approach I took is very similar to the way I paint in oils or acrylics. I block in a loose representation, trying to get the position of the features in the right place. Then I adjust and refine until I’m ready to call it finished. Except for the signature, the painting was done on a single layer to better mimic the process of painting in traditional media. The source of the painting was an image I purchased from a stock photo site. I printed the image on 4×6 photo paper, and kept the print in sight while I was painting.